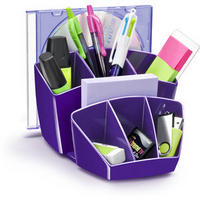 Organise your desk space and add some colour vibrancy to the office with this four drawer unit from CEP Pro. 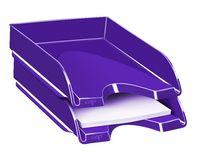 The purple gloss drawer module features four high capacity drawers, able to fit up to 500 sheets of paper. 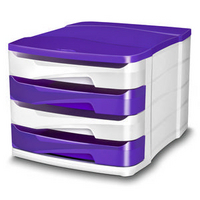 The drawers stack securely and feature retaining stops, while the unit has anti-scratch feet to ensure no damage to your desktop. Each drawer features a hand slot at the front for easy access to your documents and pushes in compactly to save space on your desktop.